Highway operator Jasa Marga has warned mudik, the routine returning to one’s hometown or village ahead of Eid al-Fitr, will again be marred by congestion, even with construction to be temporarily halted. Desi Arryani, President Director of Jasa Marga, said that to date, congestion on the Jakarta-Cikampek road has become worse while the Light Rail Transit (LRT) is under construction. It is expected to worsen with the construction of the Elevated Jakarta-Cikampek II highway route. “Last year, the [Jakarta-Cikampek] segment was already packed and crowded even without the LRT’s construction. It will become even worse with our elevated toll project [in the overlapping area]. We will make sure that all kind of construction activities will be halted ten days before Eid al-Fitr. There will also be a slight lane dilation,” Arryani said, as quoted by Bisnis. The Elevated Jakarta-Cikampek II project will take place over the existing Jakarta-Cikampek highway route. Prior to beginning construction, Jasa Marga has added an additional lane on both sides of the road to maintain capacity during construction. To date, the road widening is complete along 62nd to 67th kilometre and will ease the heavy congestion which is routine to the mudik period. 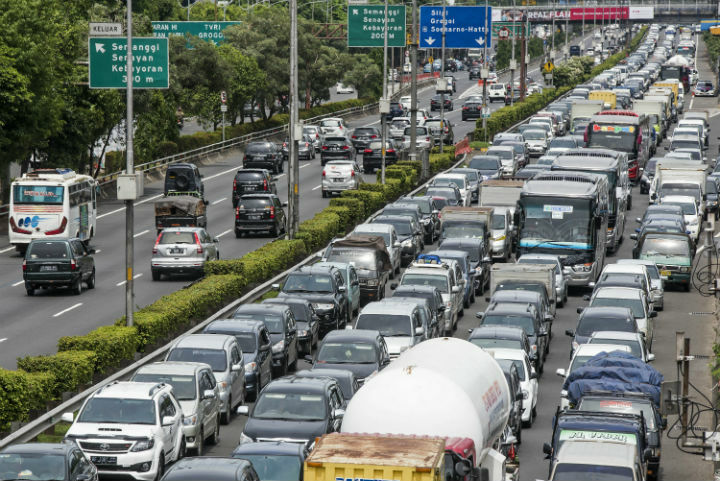 Arryani said Jasa Marga has been coordinating with the Ministry of Transport and the Police Traffic Corps to anticipate any problems when the return flow hits the Jakarta-Cikampek toll. Jasa Marga is also set to install sensors to detect vehicles speed, which will be used by traffic police to better manage traffic. “We’ve been coordinating with related authorities for three months regarding the mudik flow. Three toll roads will face critical congestion: Jakarta-Cikampek, Jagorawi and Jakarta-Tangerang. The worst congestion will be around the Cikunir area. If it is possible, please avoid those roads,” Arryani said.